Retirees can offer a wealth of knowledge and experience to your team and organization. 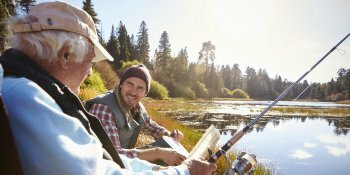 Retirement is a major life event, but it can prompt conflicting emotions. Some people can't wait to retire. For them, it can mean spending more time with their family, working on their hobby, sleeping in, travel. But for others, it means taking a scary and unpredictable leap into the unknown. It might result in their income dropping. Or, they might love what they do, and fear that retiring will rob them of purpose. Perhaps they feel forced into it because a family member is ill, or because they are legally obliged to do so. More people than ever before are expected to retire in the next few years. So it's essential that you know how to confidently guide older members of your team through the twilight of their careers. In this article, we explore eight steps for managing a team member's retirement, and how to handle the impact on your team. Managing a team member's retirement can be tricky, particularly if you're unsure whether he or she is looking forward to it or dreading it.